Gary Eisenhauer, The Sunny Plumber general manager, poses outside the company’s office and many of its service vehicles in Las Vegas. Most of the company’s 43 vehicles are Nissan V2500 high-top models. Business prospects are bright for The Sunny Plumber. Since it was launched in Arizona in 2013, the plumbing company has already reached markets in Nevada and California. And Gary Eisenhauer, general manager, believes that’s only the beginning. The Sunny Plumber would not, of course, be the first plumbing company with a national footprint. Think Roto-Rooter, for example. However, The Sunny Plumber can’t offer a novel solution to clogged plumbing lines like Samuel Oscar Blanc did with his homemade root-cutting device. Rather, company executives are banking on expertise and a sunny disposition to power their expansion. Ken Goodrich is the driving force behind The Sunny Plumber’s ambitious growth plan. The entrepreneur, who grew up in his father’s air-conditioning business, has founded a succession of successful heating-ventilation-air conditioning firms and plumbing companies, including acquisitions in Arizona in 2013 that introduced The Sunny Plumber to Tucson and Phoenix. Two years later, the company opened an office in Las Vegas and, in 2016, in Corona, California. To that end, the plumbing side of the organization is being aggressively marketed around an image of the sun. The company logo is a smiling cartoon sun ablaze with cheerfulness and holding a pipe wrench in one of its sunbeams. The theme continues through bright orange and yellow wrapping on service trucks — and the giveaway of a pair of sunglasses with every job. The positive vibes flowing from the company image are also, by design, felt within the company, according to Eisenhauer. He says The Sunny Plumber is as optimistic a workplace as it appears to be. The upbeat company attracts customers, too. It holds them through such innovations as The Sunshine Club, an annual maintenance agreement in which The Sunny Plumber techs inspect all fixtures, check the pressure on lines, do recommended maintenance on the water heater, and flush drains. The agreement promises two drain clean-outs each year and a camera inspection whenever a snake is deployed to clear a line. Annual inspections are not original to The Sunny Plumber, except for the drain check and clearing, but are an increasingly popular feature: Eisenhauer says the company is signing up 100 to 150 Sunshine Club members each month. Fees for the plumbing maintenance do not vary with the size of a property. The service is reserved for residential customers, which constitute the bulk of the company’s customer base. Another feature of the customer-centric culture is a guarantee of 100 percent customer satisfaction. That sounds like a pie-in-the-sky promise, given the wide-ranging expectations of homeowners regarding service. But Eisenhauer says the company lives up to the pledge — one way or another. “We know we can’t make everyone happy. We could not get hot water to one bathroom we worked on, so we gave the client all his money back. I’ve given money back on $12,000 jobs,” he says. “When things don’t work, we leave the client satisfied by not taking his money and walking away. It’s all about reputation.” The company’s reputation is good enough to have an A+ rating from the Better Business Bureau. Eisenhauer believes people are afraid to call plumbers and other service technicians for fear of being victimized. With the 100 percent guarantee, potential customers know they have some recourse when things go wrong. “When people know that, they are more willing to let you do work for them. Most customers will let you work through problems until it’s right.” He adds that he has no evidence that potential customers try to game the system by feigning dissatisfaction. Eisenhauer’s office is in Las Vegas. From there, he closely supervises the activity of the company in its four locations. He accomplishes this mostly through weekly conference calls, but specific management issues that crop up at any of the locations are addressed the same day in real time. In return, Eisenhauer expects job applicants to communicate well, both in listening and verbalizing. That’s because a tech must be able to understand a customer’s plumbing issue and then clearly explain the cause of the problem and what will be required to resolve it. Eisenhauer acknowledges that, as in other maintenance and construction industries, attracting qualified and suitable people to work as plumbers is difficult. “I don’t have a pipeline for techs, unfortunately.” For those the company does hire on, there is no shortage of work: The Sunny Plumber offers true, live-dispatched 24/7 service. Technicians roll out in the company’s fleet of 43 trucks. Most of the trucks are fully equipped Nissan V2500 high-top models, which are deemed to be ideal because a water heater can be stood upright in them. Some repair specialists, as Eisenhauer describes the most experienced techs on the team, drive smaller units and are being transitioned to the standard-top version of the V2500. Some of the same societal changes that make it difficult to find blue-collar employees are having impact on customers, too, but not as one might expect. The cultural preoccupation with electronic gadgetry has in some ways made homeowners more, rather than less, likely to roll up their sleeves and attempt plumbing repairs on their own, Eisenhauer says. Service calls typically range from clogged drains and leaking pipes to fixture failure. A growing company like The Sunny Plumber is necessarily a hiring company. It builds out its business on the backs of new hires who, once they prove themselves, become the veteran employees whose performances foster future growth. He is not talking about an employee being congenial, though that also is a valuable customer service attribute. Rather, the employees must be trustworthy because they will be in clients’ homes where personal security is always a paramount concern. Both Eisenhauer and his customers must be able to trust that the plumber entering a home will demonstrate good character while there. Eisenhauer says what separates The Sunny Plumber from some competitors is the trustworthiness of the company itself and the integrity of the service employees who represent it. The holidays are a time to enjoy with friends and family. However, Thanksgiving, and other seasonal holidays, present the perfect recipe for costly and embarrassing plumbing failures. With a little planning and insight from industry experts, you can prevent yourself from holiday hassles. Here are the top four tips from The Sunny Plumber to keep your pipe dreams in check. What’s the No. 1 issue consumers need to think about around the holidays to keep their plumbing working? One of the most common plumbing issues people face during the holidays is a clogged sink or malfunctioning garbage disposal. I always recommend being wary of the “FOG.” Fats, oils, and grease are your garbage disposals worst enemy. While this material is in liquid form when it’s initially poured into the disposal, it congeals into a viscous sludge as it cools. The FOG then sticks to the walls of the disposal chamber, as well as the walls of the drain pipe. This can gum up the impeller, as well as clog the drain. Don’t pour FOG down the garbage disposal if you want to avoid these issues. Throw it away, instead. That’s a good tip. What else should I avoid putting down my drain? Never put beans, rice, pasta and bread down the drain. These are like sponges and when saturated with water, this food material will expand and can cause a backup. In addition, bones and fibrous foods should be thrown away or composted. Moving to the bathroom, what should we steer clear of? During the holidays bathroom facilities are taxed with additional traffic and usage. Annual maintenance to clear any build-up can often prevent major toilet clogs and avoid the spread of infectious waste in the bathroom. Also, stay away from using chemicals to try and clear blockage as this rarely remedies a clogged line and can damage your pipes. If a plunger doesn’t clear the clog, turn to the pros. What to be mindful of with water heaters? The arrival of cooler weather raises caution for water heaters. Cold air causes expansion and contraction in water heaters and in older units, fractures can occur resulting in failure – which usually leads to flooding. Routine maintenance can identify those risks as well as ensure water heaters are operating effectively and efficiently. Water heaters are your best friend, but can cause a lot of headaches when they are not taken care of or installed incorrectly. With some minor attention, you can prevent major problems from occurring and enjoy the holiday without flooding or no hot water with a house full of guests. Gary Eisenhauer is general manager of The Sunny Plumber. The Sunny Plumber offers the highest quality plumbing services throughout the Southwest. All plumbers are experienced in solving a wide variety of plumbing problems including drain cleaning, leak detection, sewer line and garbage disposal repair. The company also sells, installs and services standard and tankless water heaters. All plumbers are background-checked, drug-tested, and receive continuous technical training to make them the best in the industry. For more information, visit thesunnyplumber.com. PHOENIX, June 26, 2017 /PRNewswire/ — One of the Southwest’s longest established and highest-quality HVAC companies, Goettl Air Conditioning and its sister plumbing services company, The Sunny Plumber are looking to hire additional employees to accommodate their expansion throughout the southwest. All new employees will be joining a top team of professionals that take pride in delivering personalized and quality service aligning with the Goettl and Sunny Plumber brands to the residents of Arizona, Nevada and California. The Goettl name has been recognized for excellence in air conditioning and heating installation and service since 1939. Offering a suite of HVAC services and equipment as well as indoor air quality services including duct cleaning, the company has experienced a 500 percent year-over-year growth since 2015 and continues to expand. The innovative and well-respected brand is a sister company of The Sunny Plumber, a high-quality plumbing services company. In addition to solving a wide variety of plumbing problems, the company sells, and specializes in providing solutions to complicated sewer repair and replacement problems. The two companies are hiring in upwards of 100 HVAC and plumbing technicians in Phoenix, Tucson, Las Vegas and southern California as well as customer service representatives for its call centers in Phoenix, Las Vegas and Tucson. Open interviews are being conducted at each office. CEO and owner of Goettl Air Conditioning and Sunny Plumber, Ken Goodrich is a highly-regarded industry veteran whose core values are the standard operating principles that guide his employees and customer satisfaction. “We live by our customers’ success, and our commitment to doing the right thing for them has never wavered,” said Goodrich. “We are looking for individuals who want to be a part of a growing industry, are invested in top quality standards and take pride in their work,” he said. Recently entering the California market, Goodrich expects Goettl to double its business within a year and plans to become the market leader in each market that it serves. The HVAC and plumbing companies offer competitive pay, a full benefits package, 401k, continuous technical training and an exciting environment. See what it’s like to work at Goettl Air Conditioning here: https://youtu.be/Gc2eAOPQ6pI. For more information, visit the career tabs at www.goettl.com and www.thesunnyplumber.com. Goettl Air Conditioning, established 1939, offers the highest quality AC and heating equipment and a full range of maintenance, repair and replacement services. Goettl operates in the Phoenix, Tucson, Las Vegas and Southern California areas. All Goettl technicians are background-checked, drug-tested and receive continuous technical training to make them the best in the industry. Goettl AC was recently named the “Best HVAC” company in the state by readers of Arizona Foothills Magazine’s “Best of Our Valley 2017.” For more information, visit www.goettl.com. The Sunny Plumber offers the highest quality plumbing services throughout the Southwest. All plumbers are experienced in solving a wide variety of plumbing problems including drain cleaning, leak detection, sewer line and garbage disposal repair. The company also sells, installs and services standard and tankless water heaters. All plumbers are background-checked, drug-tested, and receive continuous technical training to make them the best in the industry. The Sunny Plumber was recently named the “Best Plumbing Company” in the state by readers of Arizona Foothills Magazine’s “Best of Our Valley 2017.” For more information, visit http://www.thesunnyplumber.com. getting through a significant day of work, then ending it with my family. in Philadelphia, let’s go E-A- G-L- E-S! is the weather. No more daily rain, raking, shoveling, wind hurting my face, dressing in a dozen layers just to run a quick errand, etc. our newly adopted puppy squeaking his new toy. He is making sure that is all anyone can hear at the moment, a payback gift from mom, it contains 5 squeakers. is my coffee in the morning. I need to get in at least one cup at 5 am just before diving into my work emails. older. I’ve gained more patience since. my wife. She is a strong person. She bends without breaking, while keeping everything together and holding the family up at the same time. She is incredible. there has been several people that I have met, but the man in the mirror does it most. It has not been easy, but I’ve found that when I took the responsibility for my own motivation, I was able to meet more of my own goals and exceed my own expectations. an early round of good golf followed by an evening with my wife. She is my best friend. It doesn’t matter what we do, we always have a wonderful time. caddying at a country club. A group of us from the neighborhood would get up early on Saturdays’ hitch hike out to the Country Club. The job was a good way for an underaged kid to earn some real money for some real unnecessary stuff I’m sure I had to have at the time. has been an adventure, struggle, and a joy. I’m grateful for it all. tweaking two already successful companies, Goettl Air Conditioning & Sunny Plumber to the next level in customer experience. Mesa resident Carol Cifelli was without a water heater for several days, according to a press release. “Cold showers and cold water for cleaning dishes does not provide for the best sanitary conditions,” Ms. Cifelli, who is disabled, said in the release. Living in low-income housing and not able to afford a much-needed water heater, Ms Cifelli reached out to several assistance programs for help with no success. She was eventually directed to the local Foundation for Senior Living, a nonprofit organization that supports qualifying seniors whose homes need repairs and renovations, and with the help of a donation from The Sunny Plumber was able to replace the water heater the next day, according to the release. FSL manages the full cycle of repairs including funding, contracting and permitting through $100,000 in grants donated by The Sunny Plumber to support local senior home improvements. These improvements enable seniors to continue to live safely and comfortably with dignity in their homes, according to the release. The Sunny Plumber, in partnership with FSL, has donated new gas and electric water heaters as well as copper re-piping and plumbing services to numerous metro-Phoenix residents over the past several months. Katie Martin, program director for FSL agrees and said that the donation by The Sunny Plumber enables the nonprofit organization to provide essential services to seniors throughout metro Phoenix. “Most of our clients are on limited fixed incomes and when they have serious plumbing issues, it can cause them not to have water in their home without the resources to repair them. Often, they end up living in unsafe conditions and it can take several months for them to go through the funding process. These funds will allow us to respond immediately to these situations and use our other funding for less immediate needs,” she said in the release. For more information on the FSL organization, visit http://www.fsl.org/a-safe-home/home-improvements. The Sunny Plumber offers plumbing services throughout the Southwest. For more information, visit thesunnyplumber.com. As a young boy, native Las Vegan Ken Goodrich often was by his father’s side when he made calls for his air-conditioning business. Today, Goodrich owns and operates two Las Vegas-based companies: Goettl Air Conditioning and The Sunny Plumber. Goettl AC was established in Phoenix in 1939 by brothers Gust and Sam Goettl. After acquiring the Arizona-based heating, ventilation and air-conditioning company in 2013, which also had a second location in Tucson, Arizona, Goodrich expanded the business to Las Vegas in 2016. When he purchased Goettl AC, Goodrich also started The Sunny Plumber in Phoenix and Tucson. He expanded The Sunny Plumber to Las Vegas in 2015 and then to Corona, California, the following year. 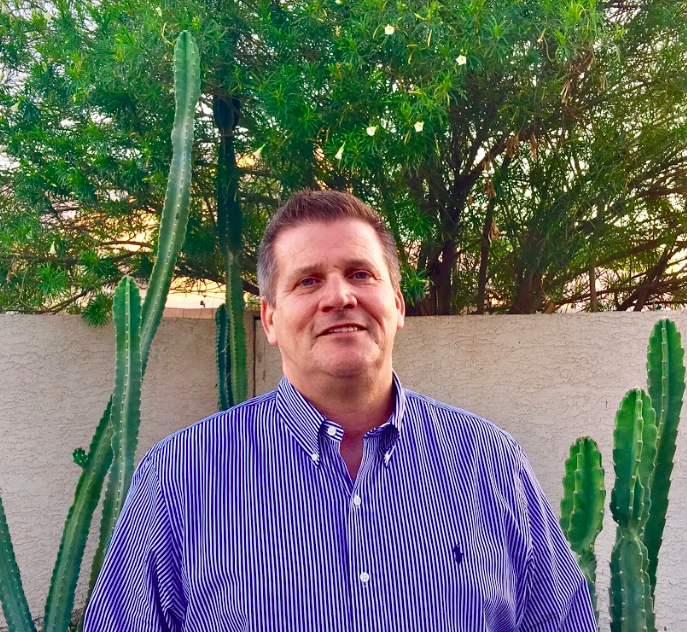 Goodrich recently acquired two additional Las Vegas-based air-conditioning businesses, and he plans to continue expanding his brands across the Southwest. Q: How many employees do you have on staff in Las Vegas at this time? What’s the total across all your company’s locations? A: We currently are a crew of 56 in Las Vegas and are recruiting daily to get (it) up to 70 before the first 100-degree day. It warms my heart how Las Vegas has embraced our brand, beliefs and message, which have fueled our rapid growth here, especially since I am born and raised here in Las Vegas. Q: When did you acquire Las Vegas Air and Paradise Air, and how did it come about? What has been the biggest impact overall on your company since you took over these additional businesses? A: We wrapped up the Las Vegas Air and Paradise Air acquisition in November 2016. I’ve acquired a lot of businesses in my career, but these were different than most. This acquisition wasn’t about adding customer base or taking a big competitor out of the market. This one was about bringing experienced talent to the Goettl brand. Michael Gamst, Stephen Gamst and Clayton Johnson, the former owners of Las Vegas Air and Paradise Air, who collectively have over 90 years’ experience in HVAC, are seasoned operators. Their impact to Goettl started immediately, bringing leadership and energy to the crew, which are key elements of our business growth and the road to create raving fans out of customers. Q: What do your plans include for continuing to expand your company in the next year? Next five years? A: Our mission includes becoming the market leader in each market that we serve. In Phoenix and Tucson, Arizona, we have accomplished that mission. In Las Vegas, the crew is laser-focused on taking over the market leader spot in 2018. In California, our acquisition team is busy identifying acquisition targets from San Diego to San Francisco. We plan to be the market leader throughout California, as well. After the western United States are covered, we will be heading east. Q: Will you be expanding the air-conditioning and plumbing portions of your business or focusing on one area? Any plans to combine them under one company name? A: Our business model is both plumbing and HVAC service and modernization. We have identified and implemented many synergies that make the model less cyclical due to weather, as compared to an HVAC-only operation. We made the decision to brand the two trades differently because the consumer focus groups we commissioned early on suggest that most consumers have their plumbing company and their HVAC company. They believe that no one can be an expert at both, and I happen to agree. Q: What is your ultimate goal for Goettl Air Conditioning and The Sunny Plumber? Are you ever concerned that your company might get too big? A: Our ultimate goal is to bring our brand, our unique customer-centric culture and processes across the nation and become the gold standard for home service in the U.S.
Q: What do you believe is most important for you to instill in your employees to ensure your company’s continued growth and success? A: First, an unwavering commitment to making the customer happy and doing whatever it takes to make that happen. Next, having a high level of respect for the trade and a commitment from our technicians to “sharpen their saws,” aka continuing their education to be the best of the best in the industry. Last, but not least, while in our customers’ homes, do the things that protect our customers’ health and safety. Change their smoke detector batteries; replace the screws in the AC unit that the last guy left out; and check the duct system and seal up any open areas that may draw dust and dirt into the home. Q: The Goettl AC logo features a young boy holding a flashlight; can you explain why you chose that imagery to represent your air-conditioning business? A: Our brand is about the experience, joy and life lessons a boy learns by holding the flashlight for his dad. Most men have experienced holding the flashlight for their dads and identify that as a positive impact in their lives. I was a 10-year-old boy holding the flashlight for my dad, Duncan Goodrich, as he worked on an air conditioner for a customer. Through many years of being the official flashlight holder, I became a skilled HVAC technician, learned invaluable business lessons and, ultimately, how to be the best at what I do and make customers happy. By the way, the boy on the logo is a digital re-creation of my son, Duncan, when he was 10 years old. I’m pretty sure he resembled me at that age. Q: Besides learning from your father, do you have any formal education in air-conditioning and plumbing? Do you think that having a technical background is essential to running the business side of things, and if so, why? A: My formal education in the trades came from the “school of hard knocks,” which I believe I may have enough credits (from) to earn a doctorate. I have attended many trade-related continuing education courses over the years and have read something trade-related every night for 25 years. Most of my management team, however, has no experience or training in the trades. It’s just a different skill set — leading and managing people, as opposed to knowing the trades. I was fortunate enough to be trained in both worlds, as I received a Bachelor of Science in business administration and finance right here at UNLV. Q: What made you decide to support the educational component of the air-conditioning industry? How has being involved in that aspect affected you personally? A:I’m a believer in giving back to the industry that has done so much for my family and me, and it has been a rewarding experience. I have made trade education one of my personal missions. Helping people with education can have a big, sustaining impact on their lives, their families and the industry. Some of the areas I have supported are providing scholarships for young men and women to receive an associate degree in HVAC and providing tools for post-9/11 veterans upon graduation, so they can be prepared for their first job in HVAC. Q: What are the other companies you’ve built and sold during your career? Why did you choose to part ways? A: I built Racee Air Conditioning, Lang Refrigeration, Economy Air Conditioning, Gardner Refrigeration, Spud Henry Plumbing, Sunset Sheetmetal &Air Conditioning, ASSAP Services and Yes Air Conditioning and Plumbing. I sold these businesses because they gave me an offer I couldn’t refuse. Q: What was your reaction when you found out you were chosen to receive the Contractor of the Year Award from the SNARSCA (Southern Nevada Air Conditioning Refrigeration Service Contractors Association) this past year? A: It was quite a surprise and an honor to be recognized by my peers. Truth be told, I teared up and thanked my industry fellows for the honor and the recognition of my industry contributions over the past 30 years. LOS ANGELES, March 15, 2017 /PRNewswire/ — There’s much debate around what great leadership looks like today. Yet there’s no denying this fact: When leaders focus on what’s vital in their business, they’re more apt to get results and sustain success. In the spirit of recognizing and celebrating this relevant truth, Management Action Programs (MAP) is proud to announce the recipients of its 12th Annual Presidential Awards. The MAP Presidential Award calls out the excellence of leaders who demonstrate extraordinary dedication to effectively leading themselves, their teams and their organization. Yet the award also spotlights their team’s success in using the MAP Management System™ to achieve breakthrough results. A proven business-management solution, the MAP System leverages MAP’s customized consulting and an accountability process to execute Vital Factors® Goals. This process is the critical, differentiating factor that’s enabling these organizations’ achievement. It’s also giving these organizations a significant marketplace edge in providing the strategies to sustain the healthy business-management habits of their disciplined leaders. Demonstration of the overall, hard work of its executives, management and employees. The military is a popular option for young men and women looking to accumulate life experience and credentials. However, many people tend to pursue other careers with the skills they get from their military service. For those who fulfill their obligations and then leave to pursue new opportunities, transitioning to civilian life can be daunting. For veteran and student Nick Hughes, help came in the form of a sponsorship from Goettl Air Conditioning owner Ken Goodrich. HVAC Entrepreneur Ken Goodrich plans to add 100+ more jobs in Las Vegas over the next 12 months. Goettl Air Conditioning is growing fast in the Las Vegas Valley! Goettls purchase of Moore Air Conditioning, a 50+ year old company, is adding 300+ years of technical expertise to the Goettl Team. Goettl Air Conditioning saves the day by keeping charity open with timely donation of new AC units! PHOENIX (July 13, 2015) – Goettl Air Conditioning, a leading heating and air conditioning company in Arizona, announced today the company donated two commercial evaporative air conditioners to Max’s Community Closet in July helping the charity to keep its doors open during the height of the hot summer months. The project, including the purchase and installation of the units, is valued at $12,000. Timing for the donation couldn’t have been more ideal as the store was facing closure due to temperatures inside the building exceeding 120 degrees making it unsafe for employees and the public. “After my wife told me about the store’s forced closure due to extreme heat, I knew I had to make contact right away”, said John Onorato, General Manager for The Sunny Plumber and Goettl Air Conditioning. Onorato quickly made contact with Max and his mother Lisa Hadsall, founders of Max’s Community Closet and together with Goettl company chairman, Dan Burke, arranged for the removal of the inoperative units and the installation of two state-of-the-art commercial evaporative air conditioning units. “Words cannot express how grateful we are. On behalf of Max’s and Extended Hands Food Bank, thank you! Your generosity has allowed us to continue to serve our community,” said Hadsall. “I am very proud that our team has rallied around our ‘Positive Impact’ initiative at Goettl. We endeavor to make a ‘Positive Impact’ on our customers, employees, industry and our community each and every day. Helping Max’s Community Closet help others is the essence of our ‘Positive Impact’ culture”, said Kenneth Goodrich, President of Phoenix Peach LLC which owns Goettl Air Conditioning and The Sunny Plumber. Max’s Community Closet is a local nonprofit, charitable foundation selling low-cost new and gently used clothing, furniture and household items supported solely by donations. The non-profit store was created by 11-year-old Max Hadsall who had asked his mother, Lisa ‘what people who had to get food from the food bank did for other life essentials’. Having no definitive answer for him, Lisa encourage Max to talk to Pastor David Iverson who runs from the food bank and they helped him open the store. The operation assists individuals and families struggling to make ends meet in the Fountain Hills and surrounding communities and whose profits support the Extended Hands Food Bank. The facility is open to the public Fridays and Saturdays. For more information and to find out how you can help Max’s Community Closet and Extended Hands Food Bank visit http://www.ehfb.org/. Founded in 2012 by Phoenix Peach LLC, Goettl Air Conditioning is the premier provider of comfort services in Arizona’s competitive HVAC industry. The Goettl name has been recognized for excellence in heating and air conditioning installation and service since originally established by Gust and Adam Goettl in 1939. Now a trade name of Phoenix Peach LLC, the company’s highly trained technicians continue to provide excellence in customer service and technical expertise for both residential and commercial HVAC service and installation applications. To learn more about Goettl, please visit www.goettl.com or www.goettltucson.com, or follow the company on Facebook at http://www.facebook.com/goettl and on Twitter at @GoettlAir. Founded in 2012 by Phoenix Peach LLC, The Sunny Plumber is a licensed and bonded plumbing contractor that proudly offers a full line of plumbing services throughout the Phoenix and Tucson, Arizona areas. The company’s experienced team of skilled plumbers and professional staff are all background checked and dedicated to providing excellent customer service. From basic plumbing repairs, gas lines, slab leaks, garbage disposals and grease traps to water conditioning, drain and sewer services, the bright and shiny repairmen of The Sunny Plumber are ready for the job. To learn more about The Sunny Plumber, please visit www.thesunnyplumber.com or www.sunnyplumbertucson.com, or follow the company on Twitter at @TheSunnyPlumber.